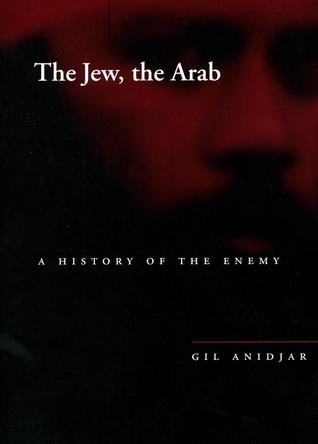 A history that is not a history of the enemy, a concept whose history can never be written. If this sounds interesting to you, you might love this book; if this sounds bogus, steer clear. The impulse is cool: he essentially wants to argue that the idea of "Europe" is bound up with a contrasting definition of the "Semitic" (Jew/Arab), and that the theological-political dimension of European politics is sublimated into the Jews (theological difference) and the Arabs (political difference). Europe, he says at one point, is the comma in the phrase, "The Jew, the Arab." This all stems from his bete noir, Christianity, whose propensity to deny difference is already bound up in the command to "love your enemies" (because then what distinguishes neighbor and enemy? Does everyone become a neighbor or does everyone become an enemy?). The problem, at least for me, is that his rejection of normal scholarly methodology is so radical that these things are asserted rather than argued (although there are some brilliant passages, it is obscure how they fit into a rational argument). This might make me an imperialist.